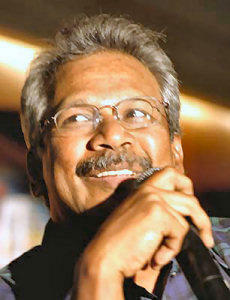 Is Mani Ratnam planning a mass film? It is almost finalized that Mani Ratnam’s magnum opus Ponniyin Selvan has been shelved. This may be a heart breaking news to Vijay fans but things must be accepted as and when they come our way. Latest we hear is that Mani Ratnam who has dropped Ponniyin Selvan is busy looking after another project which would be a mass entertainer. Yes! This movie is going to be a contemporary entertainer with full of mass elements. The film will be on the lines of his earlier like ventures Agni Natchathiram, Nayagan and Thalapathi. It is also known that Mani is looking for a famous star to play the lead role. Is it Vijay who is going to star in the lead role in this mass entertainer? There brighter chances for Vijay to play the protagonist as he carries a good image among the masses. Now the director has to take the final call on this before we jump into any big conclusions.